Hydraulic Crimping Tools HP-70C is the most light-weight compact crimping tool. 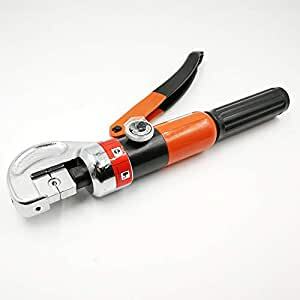 It is hand-operated,self-contained, intended to be usde to crimp Cu/Al Connectors onto cable from 4mm2 to 70mm2. Can be widely used in electric transmission and distribution job, make job fast and easy. With the help of Hydraulic Power, safety valve and 8 pairs standard dies, Easy,Fast,Safe and precise crimping can be achieved. 3. Head could be rotated 180 degree. For flexible operation in confined place. 4. Fitted with safety valve. When pressure reach to limited max pressure,s afety-value will release pressure automatically, which prevent over pressure.